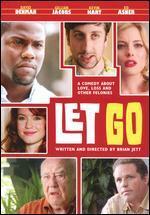 Simon Helberg, Gillian Jacobs, David Denman, Ed Asner, Kevin Hart. Good. 2011 Run time: 95. Connecting viewers with great movies since 1972. All used discs are inspected and guaranteed. Used discs may not include digital copies. Customer service is our top priority! Very Good. 741952726494 Item in very good condition and ready to ship-Guaranteed to play! ! Fair. 741952726494 Please allow 4-14 business days for Standard shipping, within the US. Thank you for supporting our small, family-owned business! New. 741952726494 Please allow 4-14 business days for Standard shipping, within the US. Thank you for supporting our small, family-owned business!